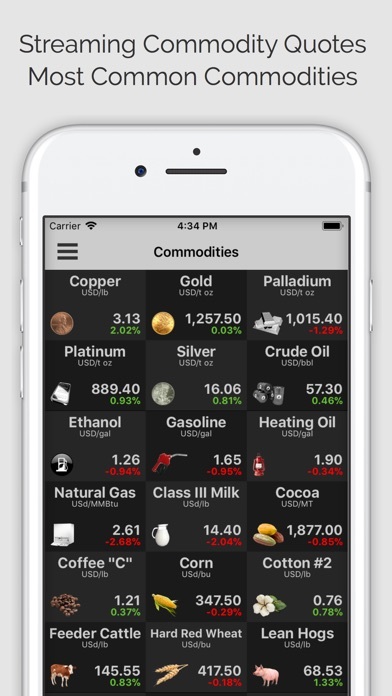 #1 App For Commodities Commodities Pro is a tool for investors, traders, and industrialists who take positions in the worldwide commodity futures markets in the segments including metals, energy, and agriculture. Based on a complex technical trading model, this tool provides trading signals for commodity futures contracts. SECTIONS - Trading Signals - Commodity Charts - Commodity News - Commodity ETFs & Watchlist Featured Commodity Futures Contracts Gold, Silver, Copper, Platinum, Palladium, Crude oil, Heating oil, Gasoline, Natural gas, Corn, Wheat, Soybean, Lean hogs, Live cattle, Cotton No.2, Cocoa, Coffee ‘C’, Sugar #11, Lumber Other Features - Streaming commodity quotes - Charts with customizable technical indicators - Auto drawn Fibonacci lines - Commodity news and analysis from reliable sources - Futures Prices - Predefined commodity ETFs lists - Multiple watchlists - Discussion pages - Price alerts Commodities Pro is especially designed for: - Intermediate to advanced level traders who are familiar with the concepts of trading on margin, margin maintenance requirements, short-selling, and characteristics of momentum trading - Professional asset managers who manage commodity related funds - Professional commodity traders who possess extensive level of knowledge in risks associated with commodity trading - Industrialists who either produce commodities (revenue generator) or use commodities as raw materials (cost management) for their manufacturing of products and actively take positions to hedge operational risks - Researchers who analyze commodities markets. After two months, this app stopped working. The cutesy message “Oops! Something went wrong” suggests checking for updates, but there aren’t any. DON’T BUY. $50 Wasted. I paid crazy money for this and it’s not working!! Worked great until just a few days ago, now just crashes. I bought Commodity app about a month ago and it just stopped working. What a wasted $50!! I can now buy a bundle for $99. No thank you. Missing step - good name for unethical company. I purchased this app for $99 several months ago, and it stopped working today. I’m current on my updates and don’t know what else to try. I strictly just use this for oil and gas future prices. This review is in reference to Stock Signals, same developer.. Warning! This crooked company made he previous version obsolete, so you are forced to buy or upgrade to the new version. BEWARE!! For a better app, try Smart Portfolio by Tip Ranks.. I will never waste about $99 to buy this shady company. 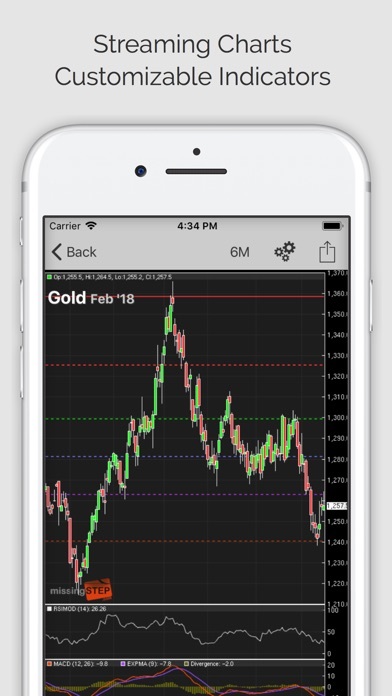 I trade a few copper miners and use this app to watch copper prices as it pertains to my stocks. This product is garbage and a complete waste of time. First off it is delayed 20 minutes at best. For 50.00 it should be live. Second IT DOES NOT WORK accurately. There are many free apps that work much better. This one is just completely wrong on quotes. I asked for a refund since it was so expensive and they were no help at all. 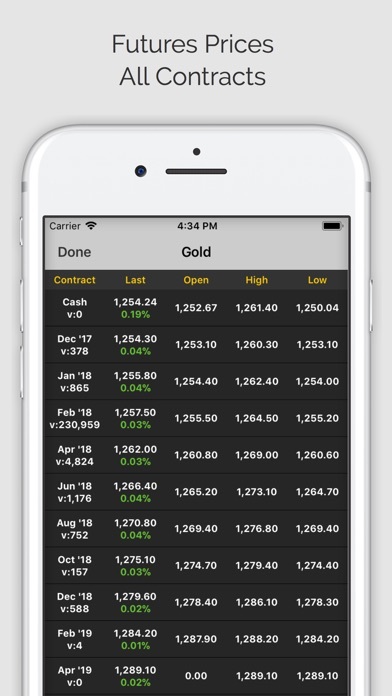 I focus on precious metals and have found this APP to be a real value. Allows me to find trends quickly to determine when I should be buying or selling. You want to make money! Mostly informative. At times confusing. I thought that the breadth of data made available to its users is fantastic. However, there is a middle column of action recommendations (buy, hold, sell/short) with a date stamp. And it took me a while to figure out whether that time stamp was referring to when the price action was last updated or when the updated recommendation was made. In fact, sometimes it remains unclear for various reasons. 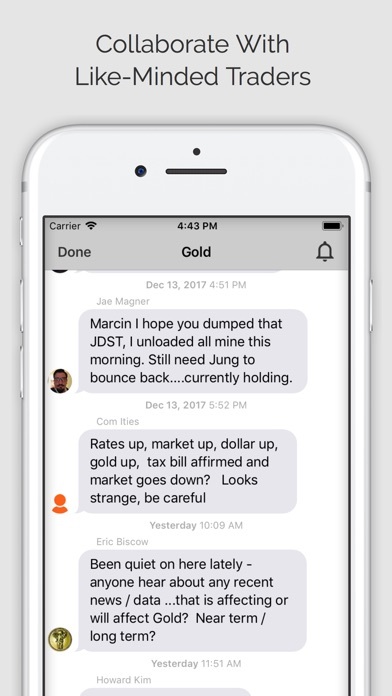 But for the investor looking to monitor the general global markets as part of a greater asset allocation strategy, this app is truly revolutionary, albeit underwhelmingly so. There could be more asset-specific details and insights, but I am satisfied. At least for now. Charts are not adjust for daily setups otherwise most time works. It is ok app. Problems are sometimes with displaying right daily charts. Every once in awhile, a great, functional and targeted app appears. This is one of them. It provides everything I need. No fluff, no extra unwanted stuff, just the info I need at a moment's request. That's what is needed by being an app. Timely info on critical subjects. This one is a keeper, regardless of cost. Great app! Easy to understand and use! Nice app but 5 day chart display continues to show once per day data rather than once every 15 minutes as claimed. Nice design, lots of information, great news, just works. Cannot find where to change the futures contract month I want to track. To be useful to me I need to get quotes on specific months. Particularly December Corn. I guess this is an ok app for general information, but not really good for specifics. Wow, I must be missing something. Don't understand the glowing reviews of the earlier versions. To me this app is next to useless. Fixed screen of 15 items. No way to change anything. No indication of the date or time of the prices shown. The apps made by these developers are great and I use them all daily. This software is very basic. Please add Historical charting, analysis, alerting, sorting and watch list capability. When I see those, I will change my rating. All data in this app is available free on the net BUT, it's all in one place here and brilliantly displayed (as with all MissingSTEP apps). I bought this for when I'm trading on the road but after checking it out, I use it at home as well. Nice layout and organization, WELL WORTH 99¢. 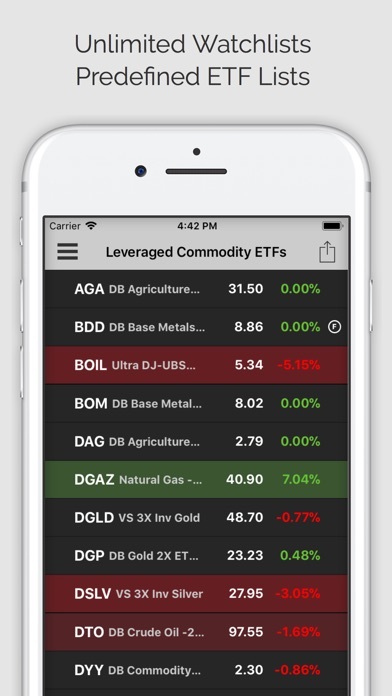 If they'd lower the ridiculous $99.99 price of the Commodity Trader App, I'd buy that too! I do have many of their other apps, they're all very good! Thanks MissingSTEP for this well priced futures app!!! !